The car stickers have arrived and I'm very happy with them. Phew, I did have my worries as to how they would turn out, but in the end the result is good. They are on a White background and are self adhesive. They can be applied, peeled off and reapplied. 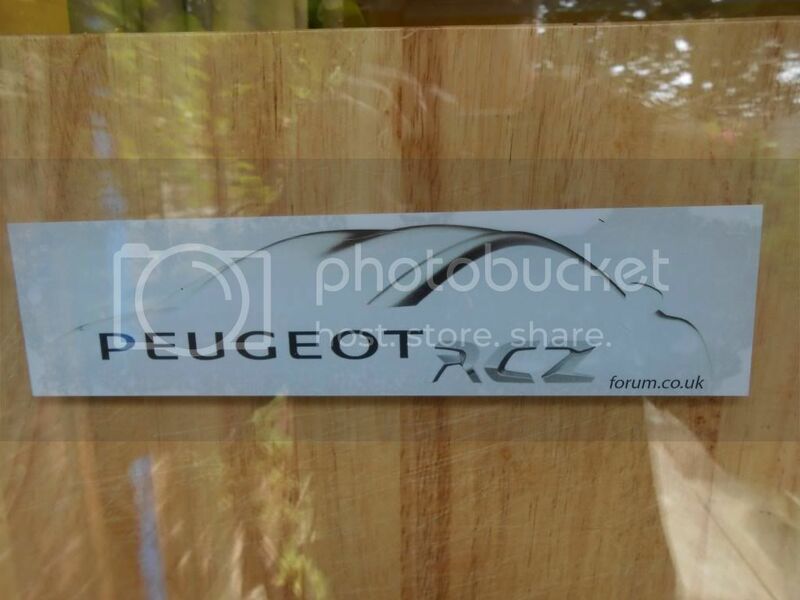 They are just small enough for the side windows, however the printing on the glass of these windows does impede on the legibility of the .co.uk element of the sticker. They can be obtained in the first instance via myself and paid for via Paypal to [email protected]. They cost £2.75 inc posting & packing each or £5.00 for two (posted out together) Please include your full name and postal address on the Paypal site in order that I can post them to you directly. Last edited by OO58RON on Wed Jul 31, 2013 6:38 pm, edited 1 time in total. Love the results for them . Well done to everyone. 4.50 sent and address details attached. Cheers for doing this Ron! Top work! Abzynthe. I reckon as you are the designer, then you are entitled to a freebie. So if you PM me your contact details, I shall get one off in the post as soon as I have sourced the envelopes. Which should be before the weekend. Hoping to spot a Staples store on my travels around West Yorkshire. Ron, sorry I can't remember - are these internal or external stickers? Either way I will have 2 please. I'll send my payment after I've eaten. Hi Ron, with luck you should have my order and payment via PayPal. Great stuff and thanks to you and Abzynthe for doing this! Great work guys. Ron, I am away for a couple of days. Would it be possible to put one on hold for me? I will do the paypal bit on Thursday. Pearl White, black pack, sat nav, vision pack, sortilege wheels, GT automatic. In for a detail and lifeshine on 16th July, DAB radio being fitted on 19th July. So an update. Unfortunately, I have had to buy some C4 sized envelopes, in order that the stickers don't get bent/folded. This means that a large stamp was required and so I have had to resort to 2nd class as I the price quoted is too low to cover the price of the envelops and additional postage. The first seven orders are in the post. Are there any more takers? Ron, I'll have one please money sent as requested via PayPal.